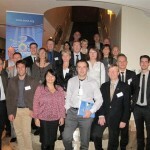 On the 12th and 13th December 2012 the EOSE General Assembly and Members Seminar 2012 was held in Brussels, Belgium. 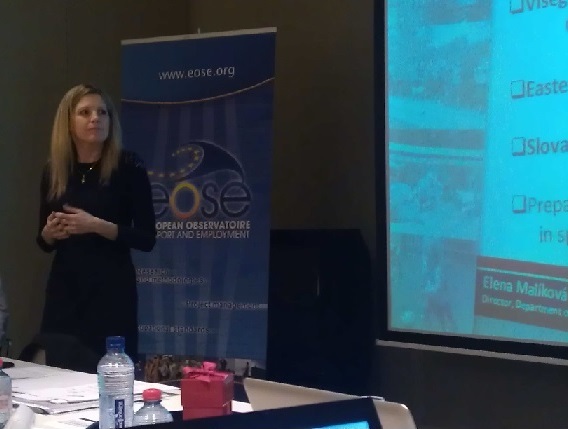 The event, which was hosted by the Belgian Olympic and Interfederal Committee (BOIC), involved the EOSE membership and provided a platform to present the work which has been carried out by EOSE and the network in 2011/12. Furthermore, the gathering of network members facilitated the opportunity to exchange and discuss further developments, priorities, collaborations and activities in the field of Education and Training in the Sport and Active Leisure sector. The full program can be found in clicking here. 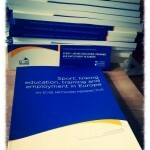 The focus of the event was the situation surrounding European Sport and Vocational Educational and Training, realities, opportunities and challenges, current and future European policies and initiatives, the relationship to the work of EOSE and the role of the network member. These issues were addressed through discussions with a European view but also to encompass the work of network members at a national level. Presentations were provided regarding the projects which EOSE had led, or been involved in during 2011/12 with an example of the Lifelong Learning Strategy in action provided by the PGAs of Europe through the Golf-Stand EU funded project (2010-2012), where the EOSE 7 Step Model has been successfully implemented. The project has now concluded and final products are now available for download. A final report was also presented and provided for the Training 4 Volunteers project, funded by the 2010 preparatory action in the field of Sport of the European Commission and lead by the Leadership Academy of the German Olympic Sports Confederation. EOSE actively participated and supported the activities carried out through this project. Current projects were also outlined, with the Sport 4 Good Governance project (S4GG) introduced to the membership with an update provided for the ongoing VSPORT+ project. The EOSE Members Seminar also welcomed Bart Ooijen from the Sport Unit of the European Commission, who presented the roadmap of European Union policy and funding framework for the Sport and Active Leisure sector in the coming years. After another busy and progressive twelve months, the EOSE Executive Board and Executive Team would like to thank all members, stakeholders and interested parties for their continued support and wish a very merry Christmas and all the best for 2013.